Air Hostess job seems as an easy job but she has many responsibilities at the plane and it’s not an easy job. She has to greet every passenger, coordinate with security, make air travel comfortable of the passenger, to guide passenger during their seat settlement and much more. Also Air Hostess has to handle some difficult passenger and remain patient and calm. Mostly women choose the career of air hostess but those men who choose the career are called ‘Stewards’. An Air Hostess can be later on promoted as Senior Flight Attendant and then Head Attendant. Air Hostess has an average career span of eight to ten years, later she can move to the ground duties which include the job of a Check Hostess, training of air hostess, Ground hostess or work with the management level. Although there are academies which are also offering a course for candidates who are just 10th passed but you should not join them because it is better to join after you have completed your 10+2. I have completed my 12th recently and am looking forward to become an air hostess. What are the things I must do to archive my dream. I am Akhilesh jha, I have completed my DIPLOMA IN ELECTRONICS& TELECOMMUNICATION , SO AM I ELIGIBLE FOR THE STEWART JOBS IN AIRLINES PLEASE REPLY……. I want to be an air hostess. I like to be an air hostess most.my hight is 5’3.i can only speak in English and I followed my A/L’s. Plz joined your field soon.i’m waiting for become an air hostess. Will I able to be an air hostess? Plz help to me it. Hi ,my name is Talent Mpanza .I’m 19 years old. I’m doing B. Teaching at the University of Zululand but my dream is to be an air hostess ,I can speak English fluently ,I’m 5.5″ n um dark in complexation ,is it possible for me to fulfil my dream ?if it is where can I find an academy in South Africa where I can get necessary qualifications? Please help I’m desperate. I am pursing 12 and my english and hindi are very fluent soo can go for trainning than when I give u 12 certificate than u can give me the diploma certificate … so can I ? My name is Nirjha. I have done my graduation in B.Sc in Animation and Visual Effects. I’m married and my age is 26. Can I become an air hostess? Hello,I’m Edith kerich from Kenya my height is 5.2″,fair complexion.Im finishing my diploma in hospitality I am into flights and modeling can I get a scholarship training on being a hostess I cannot manage to pay the fees I can speak German and french . Hii I’m Anjali..I was completed my 12 standard …I want to become an airhostess ..and it’s my dream too …nd I know Kannada and basic English too know how to join This .. please help me…and also I thought am eligible for this job … please suggest me I’m waiting for your reply…nd urs truly Anjali…..
My girlfriend is interested in becoming an air hostess, I just want to know the qualification and procedures of how to become one. thanks alot, please reply. By next month im completing my 12th std from commerce stream n i want to be an cabin crew so plzzz give me more information n help me . Im too serious about this . How do i apply for this course or job ? Hi my name is Seema nd I completeted 10th.I know hindi, bengali. I want to become an Airhostess but i’m married nd white spot on my body.Can i become an airhostess??? Hello! This is Prayshna Hangma Limbu from Darjeeling, I’m doing mass communication and journalism Honors in St Joseph’s college Darjeeling North point. I’m 20yrs old and I really like to turn up myself as an air hostess. My height is 5.4 and weight is 51. As i think that i have a personality to become an airhostess . As I’m a mass communication student i love to communicate with the new people and convince. But the problem is no one is able how to go ahead . Please regard my request,Thank you. Hey mam. My name is sneha Khare.I’m a student of b.s.c agriculture in first year.my height 5.5″ ,nd I also know eng,nd hindi language. I’m very interesting this field. Of course i see myself as a steward but iam 5.4 feet and i have some timples i could speak only an English, any one suggests for the course in ours country 🇮🇳 India. I am shubham mishra and I am at the end of 12 science pcm so what is the next step to become Air Steward? ? Hello, I’m currently doing HSC from commerce stream. By November I will complete my 18 years of age. This would be a great opportunity for me to start as a fresher. I speak English, Hindi and German well.I’m planning to learn French soon. I’ve a light brown not-so-fair complexion. Please let me know the details of this wonderful Air hostess training and Job profiles soon. I am Ayra and doing my 12 . I know hindi,english,urdu,arabic, telugu,gujrati. But i am not fair. Can i become airhostess?and what i need to do? Hi,am Sabina,I want to become an air hostess but I am in Ghana. Please give me some advice to move on to the next level. I know English,French,Spanish and Ghanaian language but I am dark in complexion. Can I become an air hostess? Yes, you can apply for an cabin crew……in this industry skin complexion does not matter …..the only thing matter is your skin must need to be spotless and even…..i’m also not fair…..i have wheatish skin complexion…..still i get selected as an air hostess….so keep trying….. I did my 12 standard in arts stream. I’m 5.3 hght, clear complexion. I speak only English. would I be able to join the course. I’m very much interested in this field Please help me to get through. I want to know about my daughter. she is doing BE in electrical. I would like to join her as Air Hostess. for that what to do. please reply. her height is 5.5. she is also interested. Hello, my name is janique.I am a Jamaican and I am 14 years old . my dream occupation is to become an air hostess. I would like to know the qualifications I need to become one. Hi I am nivedita Singh and I want to become an air hostess n I am a student of b.com final year my height is 5.6″ n I know English and Hindi languages …. 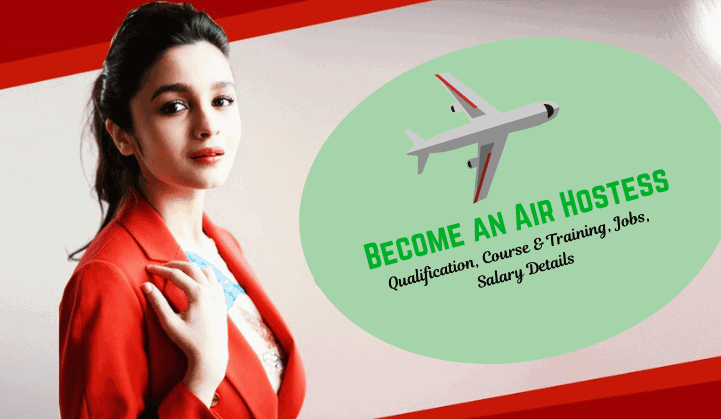 So please help me and advice me how to apply for air hostess…..
Hello, my name is Farheen. My height is 5.3″ and have a fair complexion. I am pursuing M.com but always wanted to be an air hostess. I am very calm n compose kind of person n i have a specialty in convincing people because i was also a counselor in a college. I know Hindi, Eng n Urdu but still working hard on my communication in English as per the requirement of this job. Plz tell me am i eligible for this job and can i apply for the vacancy without joining any course. um farheen from Srinagar and my qualification is 10 2 n doing pharma sales assistant data entry operator ..I want to be an air hostes .If u don’t mind please give me information about this job…I need this job. Hii my name is husna shaik..! I have completed my b.com comp.,n now am pursuing my mba.! I actually wan to become an air hostess n my height is 5.2″ n complexion color is also fair..! I can also speak hindi English n telugu..! Wat do u think.? Am I eligible for this course..?? Pls suggest me waiting for ur rply…yours truly HUSNA SHAIK….! hallo . this is sairam . i know german, english , telugu, and 10+2 is my Qualification . what are the chances that i have in this field and right know i am working in online flight booking company . i have experience on GDS (amadeus and seber red ) . i want to know what are my chances ?? .